!! !Don’t forget to enter our Raspberry Pi Raffle!!! This guide assume that you have Putty on your computer and that you know how to connect to Raspbmc via SSH. If you you do not, please refer to HTPCBuild.com Connecting to Raspbmc via SSH Guide. You’ve decided that you want to overclock your Raspbmc distro. We’ll need to use Putty to connect to your Raspberry Pi and edit the “config.txt” file. 1. 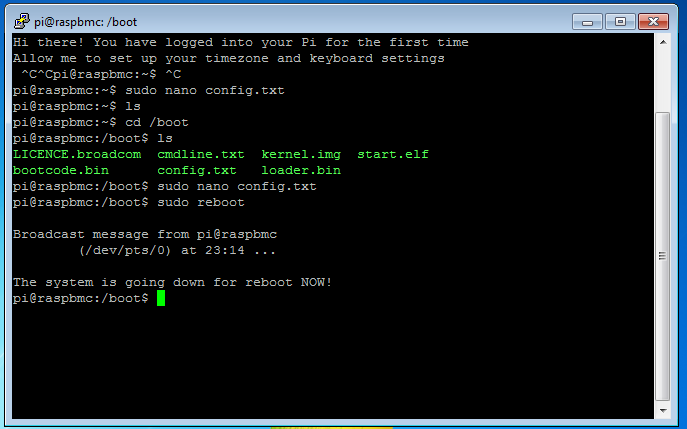 First connect to your Raspbmc Raspberry Pi via Putty SSH. The terminal will now show it has enter the boot directory. The terminal will echo back the contents of the boot directory. Here we see that the boot directory contains a file “config.txt”. 5. A text editor will launch and display the contents of the file “config.txt”. NOTE: gpu_freq controls three values simultaneously. If you wish to control these values independent of one another, you’ll need to disable gpu_freq and enable h264_freq, isp_freq, and v3d_freq. NOTE: There are two ways to deactivate a clock parameter, you can either completely delete the value from your config.txt or place a “#” in front of the parameter you wish to disable. Placing a “#” indicates that the corresponding line of code is a comment and will not be executed. 7. We can see that Raspbmc by default overclocks the arm_freq from 700MHz to 800MHz. Changing the value of arm_freq will set a new freq on the next boot. Here the value has been changed from 800 to 840, which well set the new frequency to 840MHz on the next boot. 8. To add a parameter that is not in the “config.txt” file simply enter it in a new line. Here the parameter gpu_freq as been added and set to 300. This bumps the stock value from 250 to 300. NOTE: The parameter gpu_freq simultaneously sets the frequency for: core_freq, h264_freq, isp_freq, and v3d_freq. 9. When you’ve feel satisfied with your additions and changes, hit “Ctrl+O”. 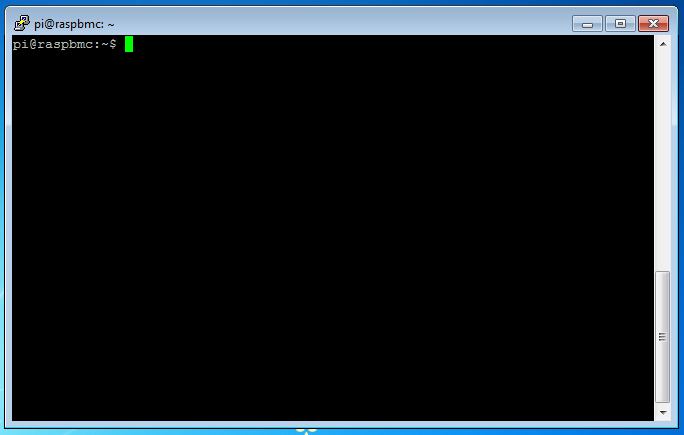 A small line will pop up near the bottom of the terminal asking you to name the file. Keep the same “config.txt” name and overwrite the current file. 10. To exit out of the text editor hit “Ctrl”+”X”. That’s it, you’ve overclocked your Raspbmc Raspberry Pi. Please make sure to take care when overclocking your Raspberry Pi. Make changes slowly and in small increments. By making subtle changes and testing your Pi you will be able to notice as the system becomes more and more unstable. Look for signs such as random an inability to boot, random freezing, random errors. If you encounter these, SSH into your Pi and back down on the settings. Another option when running into overclocking instability is overvolting. If you wish to experiment with overvolting an Raspbmc Raspberry Pi, please refer to HTPCBuild.com’s Raspbmc Overvolting Guide.